This Game Of Gnomes Garden Gnome is the perfect watcher on your garden wall, for when the night in your street is dark and full of terrors! 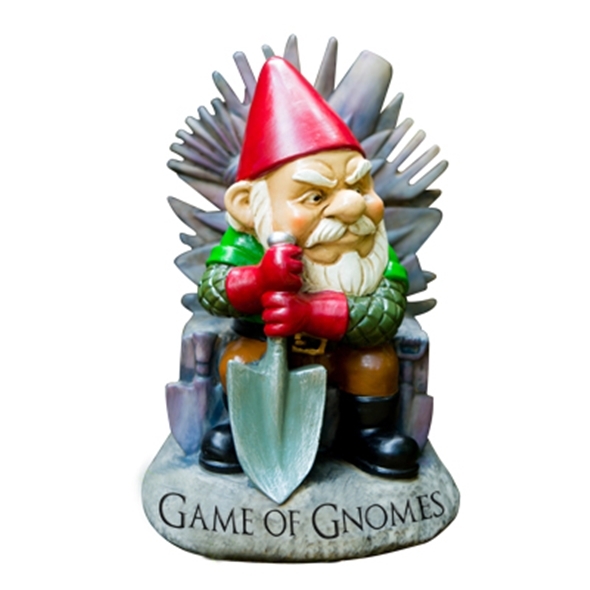 Sat upon his throne of garden tools, this garden gnome will rule over all 7 kingdoms of your garden and will ward off any garden pests. 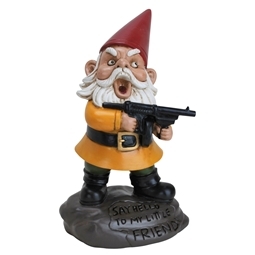 This slightly resentful and dictatorial looking garden gnome is made out of waterproof poly resin, which means it can withstand pretty much anything the weather will throw at it. Each gnome is also hand painted; which means that there isn't a Game of Gnomes Garden Gnome in all the land that is the same as it's brethren. 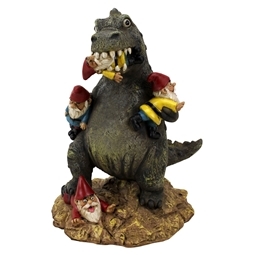 It truly is the King of all garden ornaments. Is your garden looking bare, and in need of something to add a little more excitement to it? 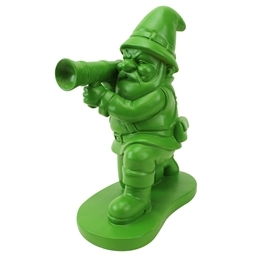 We suggest you get yourself one of these ​Game Of Gnomes Garden Gnomes, which is a lot cooler than your regular garden ornament! 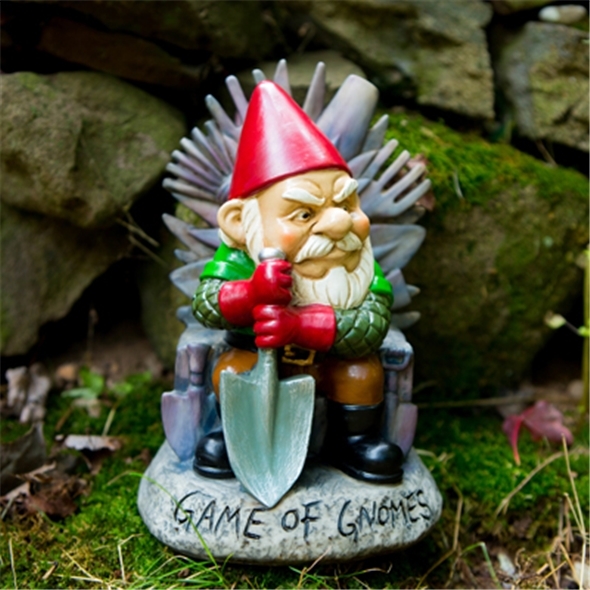 It's perfect for fans of Game of Thrones, or for someone who loves novelty garden ornaments. 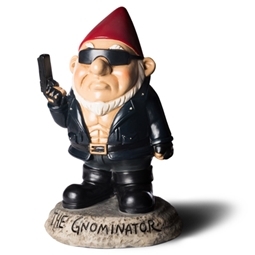 This is just one of the novelty garden gnomes available from Gadget Inspector. Click here to see the others!